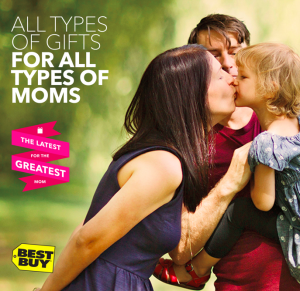 Mother’s Day Gifting With Best Buy May 2014!! This Mother’s Day give the gift that keeps on giving to the most important person in your life. To show our appreciation and gratitude to the one that gave us life, love, and happiness be sure to return the favor by showering your mother with much deserved gifts. Best Buy has all the latest and greatest gadgets to fit any moms lifestyle. With such an amazing selection, it’s difficult to narrow it down to just a few great gifts. Every gadget offers something unique designed to simplify our everyday lifestyle. But if I had to pick my favorites, I would personally go with the Misfit Shine and the Polar FT4 Women’s Heart Rate Monitor. The Misfit Shine truly is “the worlds most elegant physical activity monitor”. It includes clip and wristband mounts which can function as a watch and is also completely waterproof which is ideal for swimming. It has an anodized aluminum casing and has tiny, laser-etched holes that reveal 12 white LEDs that light up on the face of the device to show the time of day (or night) and the progress of your current workout. You can then sync the device to your iOS and Android mobile devices to check your progress, distance ran, and calories burned. You can also track your daily weight loss goals as well as sleeping patterns. This little gadget can be a gals best friend and gives me all the motivation I needed to stay consistent with my workout goals. I have a special coupon HERE you can use to save 20% off any Misfit Shine Products in store and online! The coupon is valid until 5/31/14. Another awesome Mother’s Day gift that I would love to try would be the Polar FT4 Women’s Heart Rate Monitor. This is mainly because the route I run has plenty of up and downhill paths rather than a flat track. I would love to be able to track and monitor my heart rate and become aware of the areas that present the most challenge and require me to “kick it into extra gear”. This Polar water-resistant heart rate monitor and watch system automatically display your target zone to keep you on track with your workout routine. Continuous heart rate measurement and OwnCal technology make it easy for you to stay within your goals. And the best part- it’s under $100 and sells for $89.99 with Best Buys low price guarantee! Do you love twitter parties? Best Buy is hosting two Mother’s Day Twitter Parties on Friday May 2nd at 12:00pm CST and Wednesday May 7th at 7pm CST . Feel free to join one or both of these parties for a chance to receive Best Buy gift cards and other great products. 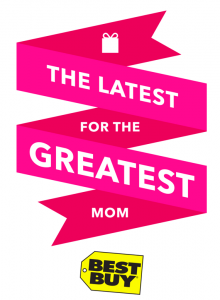 Tweet #GreatestMom with your favorite Mother’s Day Gift ideas from Best Buy.